Lucy Kennedy (c.1731–1826), had an insider’sview of life in Windsor castle and of members of the Royal Family for fifty-three years. Her diary, preserved in the Royal Library, Windsor Castle, has never before been published. 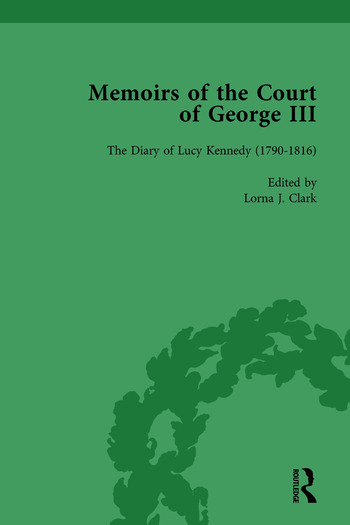 In it she writes a moving account of the death of Princess Amelia which precipitated the final illness of George III and the Regency. Her observations of his symptoms are relevant for modern-day diagnoses of his malady.